Montage is a newer product and interface released in 2014, brought to you from the folks at Mixbook. All Montage books are hardcover, square in format and lie flat. The books come in 3 sizes and 3 fixed prices regardless of page count. Each book can contain up to 70 pages and a maximum of 180 photos per book 4 sizes and can contain up to 100 pages. Montage books are printed on archival paper fused to cardstock making the pages thicker than the average photo book's paper. Silver halide photo paper is another option. Images of the book I made with Montage are featured at right. 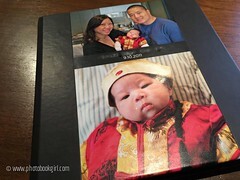 The process to make a Montage photo book is quite different from its sister products offered at Mixbook. 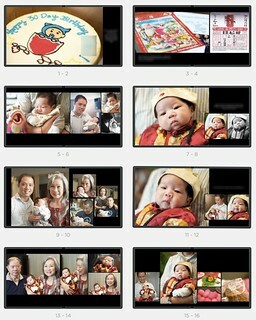 Montage is meant to be a more streamlined and a faster way to making a photo book. The user is walked through a short series of steps and after uploading your photos, the software automatically places your photos into various pre-designed layouts. Some tweaking and captioning is possible, but within the parameters set by the program. All Montage books are hardcover and square in format. 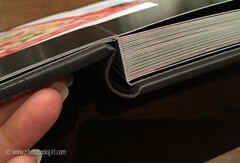 The books are lay flat photo books with a folded seamless center between pages. The books come in 3 4 sizes. Each book can contain up to 70 100 pages and a maximum of 180 500 photos. TIP: To get the most for your money, try to get as close to 70 pages as possible, since you will pay the same for 20 pages as you will for 70 pages. Layouts are done automatically by the software after the user uploads photos. Titling is allowed on the cover and in captions on the pages themselves. Montage is more suited to those wanting to make a quick book with less design decisions to make. 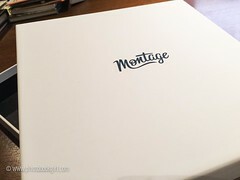 Those wanting maximum control should check out Montage's sister company - Mixbook. You can read more about Mixbook here. Want to see my detailed review and more photos of my Montage book? Check out my detailed Montage Review. Click HERE to go to Montage's site! Don't forget to check the main Photobook Deals page for all of today's deals! Bookmark that page or fan me on Facebook and you won't miss out on the latest coupon codes! Save money with the latest Montage coupons and deals, or see if there are any Montage groupons. Dec 9, 2014: Montage Giveaway Winners Announced! 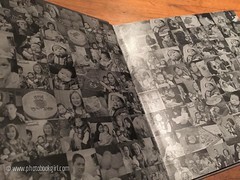 Thinking about designing a photobook on Montage? You can view a detailed chart of every Montage photo book, including sizes and pricing. See the full list of Montage photo books.